Have a look at the video below for more information (or view on Youtube) . The global demand for lithium is surging, with the market expected to triple or quadruple in the next decade. In line with the increasing worldwide demand, exploration and mining of hard rock lithium deposits has grown significantly during the last years. Currently, over 120 public and private companies are actively exploring for, or mining, lithium minerals from a hard rock environment. 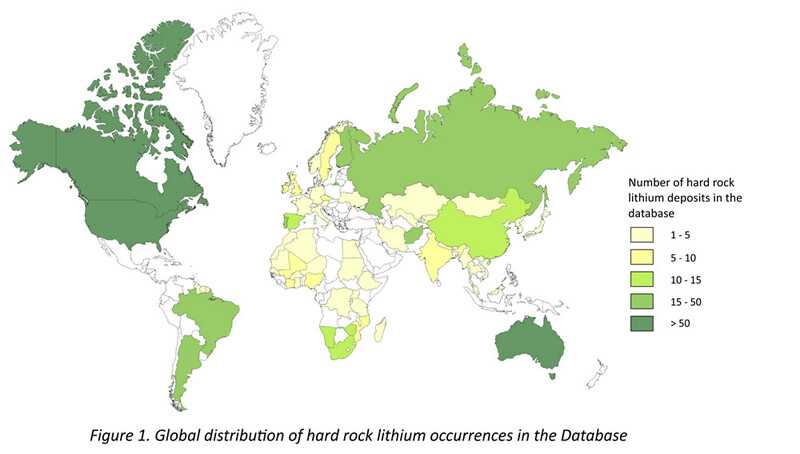 One of the advantages of hard rock lithium deposits over other sources, such as lithium-rich brines, is their global distribution, with known occurrences in more than 60 countries distributed over all continents (Figure 1). In addition, hard rock lithium mineral deposits do not only serve as a source for lithium carbonate and lithium hydroxide used in the battery market, but can also yield high-purity mineral products for the ceramic and glass industries. 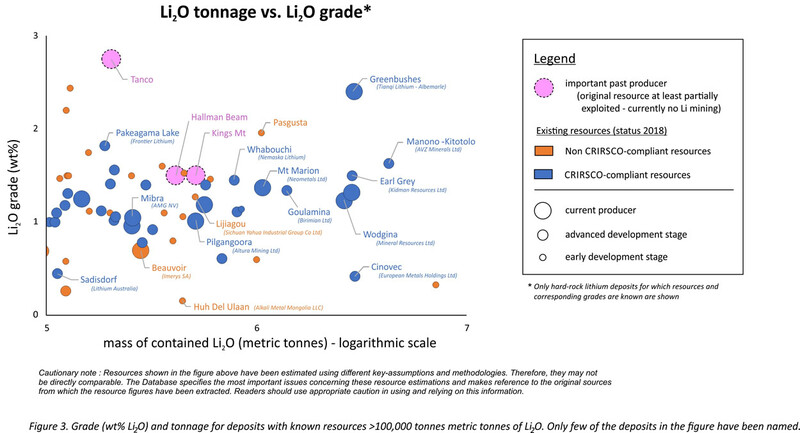 Available databases on the occurrence of hard rock lithium minerals are often restricted to a few dozen well-known deposits, often lack consistency (for example concerning the type of resource estimates used) and rarely cite the sources from which the original information has been extracted. This renders data verification and comparison very difficult, if not impossible. Tercienco bvba, in cooperation with GF Consult bvba, have constructed a comprehensive, internally consistent and traceable database of the currently-known hard rock lithium mineral occurrences in the World. The Database contains over 700 sites where such Li-mineralisation is known to exist, including 19 operating mines, more than 80 projects that are in an advanced stage of exploration or development and more than 350 projects that are currently in an early stage of exploration. 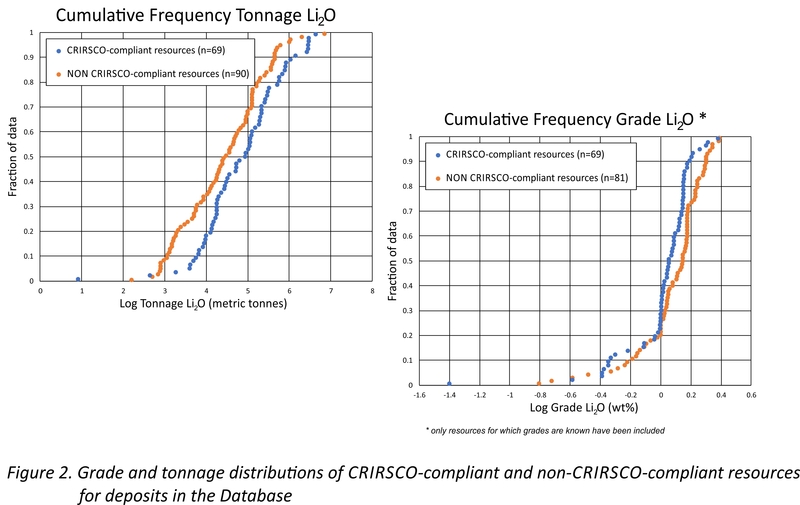 For those available, the most up-to-date resource estimation, in terms of contained Li2O and corresponding grade (in wt% Li2O), are given (cf Figure 2, 3). Such resources are classified in two main classes, i.e. those for which key assumptions, parameters and methods used in the resource calculation are often not known, although they have been quoted in reliable sources, such as official government publications, public company reports, or peer-reviewed academic publications (these different types of sources define different subclasses in the Database). About 160 lithium mineral deposits in the Database have calculated lithium resources (Figure 2, 3). Importantly, the database provides a citation and full bibliographic reference to the source-documents for the resources estimations. More information about how the database has been constructed and which information is included in the database can be found in the EXPLANATORY NOTES. The database is provided in Microsoft Excel-format, as a PDF-document and as a KML-file that can be directly opened in Google Earth. A list of bibliographic references for the citations made in the Database is provided as a separate CSV-file and PDF-document. An Explanatory Note that describes the different elements in the Database is provided and can be downloaded freely HERE. © 2018 Designed & Powered by Quadus.